Carol S. Tasker, 78, a resident of Waukegan, IL, passed away Thursday, July 23, 2015, at Vista East in Waukegan. She was born November 1, 1936 in Waukegan, Il to Murl and Eva Wolfe. Carol is survived by her children Michael (Monica) Tasker, Tracy (David) Williams, and Todd Tasker, her grandchildren Katie (Danny) Tasker, Will, Mitch (Jess Wyman), Samantha, and Joey Tasker, Kyle and Cody Williams, and Jake and Cassandra Tasker, and her great-grandson Steven Treptow. She was preceded in death by her parents, her husband Jerome Tasker, and her brother Michael Wolfe. A visitation is scheduled for Saturday, August 8, 2015 from 2:00pm until 3:00 p.m. with a memorial service commencing at 3:00pm at Strang Funeral Chapel, 410 E. Belvidere Rd., Grayslake, IL 60030. Interment will be held privately. For more information please log onto www.strangfuneral.org or contact (847)223-8122. 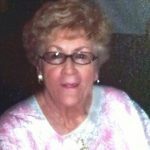 Lois Barringhaus (formerly Hanekamp) nee Whitefield, age 90 of Lindenhurst formerly of Grayslake. Lois was born on February 26, 1925 to Thea and Esther Whitefield and was raised in Raleigh-Durham, N.C. area. She was the beloved sister of the late Iva Pearl Godwin, the late Foye Cole, the late Esther Goetz, the late Edwin Whitefield, and Clarence Whitefield of Chapel Hill, N.C. She married Bernard Hanekamp in 1945 and moved to Des Plaines and later Chicago and Northbrook. Lois assisted Bernard in the Hanekamp Funeral Home business for about 30 years. 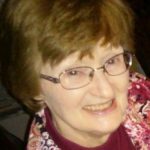 She loved to garden, sew her children’s clothes, and was active in Girl Scouts and other community activities. 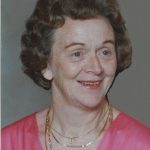 Lois was the dear mother of seven children: Patricia (Brad) Allred of Nicholasville, KY, the late Mary Diane, Kathryn (John) Palmer of Fishers, IN, Barbara DiSabatino of Kennett Square, PA, James (Patricia) of Streamwood, Thomas (Nada) of Naperville, and William (Janet) of Lake Forest; grandmother of 25 and great-grandmother of 17. After Bernard passed in 1999, Lois found the second love of her life in Leonard Barringhaus whom she wed in 2002. Leonard and Lois were very active in St. Gilbert’s parish before moving to Victory Lakes in Lindenhurst. They enjoyed a lifetime of happiness in 13 years. A visitation and funeral Mass is scheduled for July 28 at 9:00 am until 10:00am, with the mass commencing at 10:00am at St. Gilbert’s Church, 301 E. Belvidere Road, Grayslake. Interment will follow at Ascension Cemetery, 1920 Buckley Road, Libertyville. In lieu of flowers the family asks that you consider a donation to the Alzheimer’s Association 225 N. Michigan Ave. Ste 1700 Chicago, IL 60601. All funeral arrangements were entrusted to Strang Funeral Chapel & Crematorium in Grayslake. 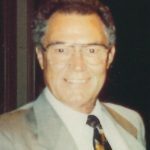 For more information please call (847)223-8122 or log onto www.strangfuneral.org. Sharon Johnson, age 84, of Grayslake, passed away Thursday, July 9, 2015 at Advocate Good Shepherd Hospital in Barrington. She was born Jan. 18, 1931 in Libertyville to Michael and Pearl (nee Hough) Fowler, but was raised by her dear grandmother, Lenora Hough. Sharon attended Libertyville schools, later marrying the love of her life, Gordon R. Johnson. They were blessed with 12 children, Jane, Gordon (Kathy), Edwin (Judy), Michael (Cindy), Kathryn, Betsy, Bernard, Steven, David (Amy), Charmaine, Jacqueline (Chuck) and Robert (Tunicia). Loved by many grandchildren, great-grandchildren, great-great-grandchildren, and friends. She was preceded in death by her parents, Michael and Pearl; her husband, Gordon; daughters, Kathryn and Betsy; and son, Bernard. Friends of the family may visit on Tuesday, July 14, 2015 from 4pm to 8pm at Strang Funeral Chapel, 410 E. Belvidere Road, Grayslake, IL 60030. The funeral service is scheduled for Wednesday, July 15, 2015 at 11:00am also at the funeral chapel with interment following at Avon Centre Cemetery. For more information please log onto www.strangfuneral.org or call (847)223-8122. Bernard “Bernie” S. Tacito, age 62, of Golden, CO, passed away at Perry Memorial Hospital in Princeton, IL, on Saturday, July 4, 2015. He was born May 4, 1953 in Oak Park, IL to Salvatore and Angelina (Lentini) Tacito. Bernie was the son of a barber but you would never know it. When he was young he let his hair grow and when he got older there was no hair to cut. Still he was very proud of his Dad and loved him very much. His Mother was always very special to him and he loved her every minute of every day. She meant the World to him. His Sisters and their families were also a big part of his life. He loved his wife dearly and her family as if they were his own. They all loved him very much in return. At times, however, they privately thought Bernie was a little crazy but, then again, so did everyone. There was nothing that made Bernie happier than being with family and friends. He was the King of Outings. It could be a big family holiday dinner, a Sky Box at a Sox Game, a Box at a Backhawks playoff game or the annual Christmas Soiree of friends leading everyone in the obligatory singing of “The Christmas Song” and “Mother’s Lament”. He was the glue that kept everyone together. He was loyal to his friends of whom he had many. It was not uncommon for someone to meet Bernie and feel right away like he was a brother. He made friends everywhere he went and was well loved. Anyone who knew Bernie knew that he had a serious view of life but chose to filter life through an “offbeat” (putting it mildly) sense of humor. He could find something amusing or funny in just about any situation. This is reflected in his choices of clubs and affiliations. Bernie, with his wife, was co-founder of Black Diamond Charities which helped thousands of kids with back packs for school and helped veterans assimilate back into civilian life. Bernie was also a charter member of the “High Street Council” and belonged to the “I Hate Women and I Hate Men Club” [his family members didn’t count] and “Don McNeil Breakfast Club”. He was also Captain of the “Flying Frogs” volleyball team. Bernie was a writer, voracious reader, musicologist, lover of nature, enjoyed photography, and was a bon vivant and raconteur. He always enjoyed a good Polka and liked watching “Polka Joe” on RFD TV — “Happy Music for Happy People.” He was an acknowledged expert in anything “Firesign Theater” or involving underground comics and could and would recite from these often without even being asked. As an English major in college it was only natural that he go into the nuclear power plant business and eventually start his own very successful company Black Diamond Services where he enjoyed his position as “benevolent dictator”. He cared very much about his employees. Not surprisingly, he made many close friends in the power industry. Anyone who knows Bernie or who has seen his office knows he was a huge sports fan. He was lucky enough to see the “Miracle on Ice”, his beloved Blackhawks (Tony Esposito was his favorite player) win four of their six Lord Stanley Cups in 1961, 2010, 2013 and 2015, his beloved White Sox win the World Series in 2005, the Bulls win it all six times, the Bears and Ditka in 1985 and the Cubs — never. Bernie is survived by his wife of 13 years, Cynthia, whom he married on June 22, 2002 in Wadsworth, IL. He is also survived by his mother, Angelina Tacito, his children, Rachel (Patrick) Morris of Elmhurst, Jeffrey (Viola) Laitila of Marseilles, IL, and Denice Laitila of Gurnee, IL; his grandchildren, James, aka “Fishface” of Marseilles, IL and Vanessa, aka “Baby girl”; his sisters, Michelina (Enrique) Cora and Marisa (Mario) Maselli; his nephews, Dennis Lord, Andrew Lord, Jeremy Lord, and Michael (Wanda) Cora; his nieces, Angela Carsrud, Marisa Carsrud, and Jillian Carsrud; and his dogs, Ray and Pea. He was preceded in death by his father, Salvatore Tacito. Friends of the family may visit from 5:00 p.m. until 9:00 p.m. on Friday, July 10, 2015 at Strang Funeral Chapel & Crematorium, 410 East Belvidere Road, Grayslake, IL 60030. The funeral mass is at St. Raphael the Archangel Church, 4000 North Route 45 in Old Mill Creek, IL at 12:00 p.m. on Saturday, July 11, 2015. 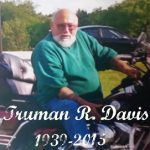 In lieu of flowers, memorials donations may be made to Black Diamond Charities c/o Black Diamond Services, PO Box 401, Grayslake, IL 60030. For information, call the funeral home at 847-223-8122 or visit www.strangfuneral.org. Viresh Bijawat, 49, a resident of Hawthorn Woods, IL passed away Friday July 3, 2015 at his home. He was born April 18, 1966 in India to Mahesh and Radha Bijawat. Viresh is survived by his wife Amita Bijawat and their children. A visitation is scheduled for Wednesday July 8, 2015 from 10am until 12pm with a funeral service commencing at 12:00pm. For more information please contact (847)223-8122.